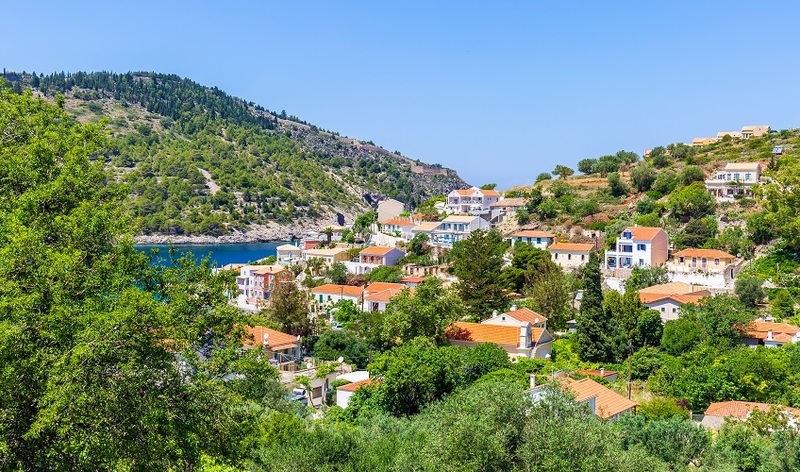 Two or three centuries ago most visitors to Assos might not have relished the prospect of their stay in these magnificent surroundings as they would have arrived in chains and been incarcerated in the remote Venetian fortress and prison! 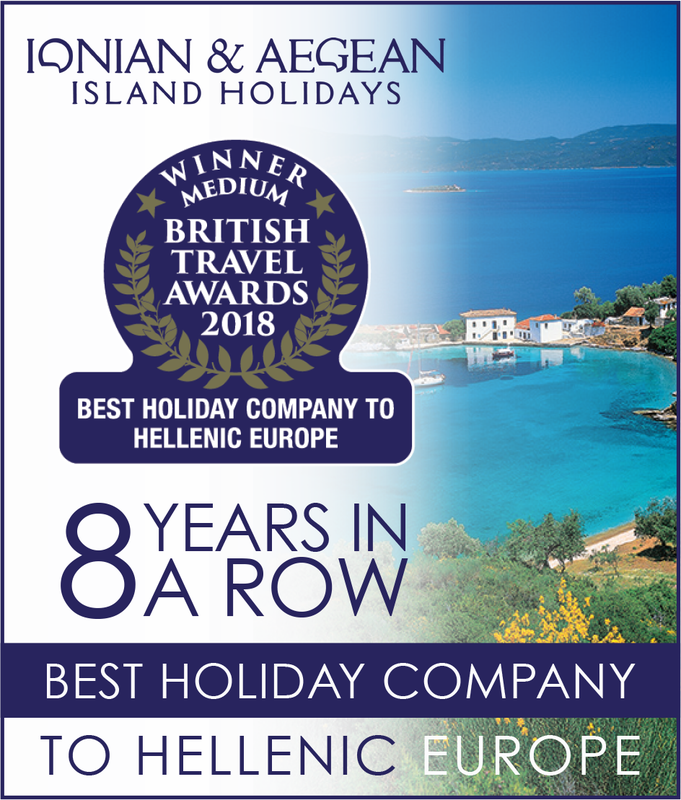 Today’s visitors now have the opportunity of a holiday in one of the most spectacular and peaceful situations in the Ionian Islands. 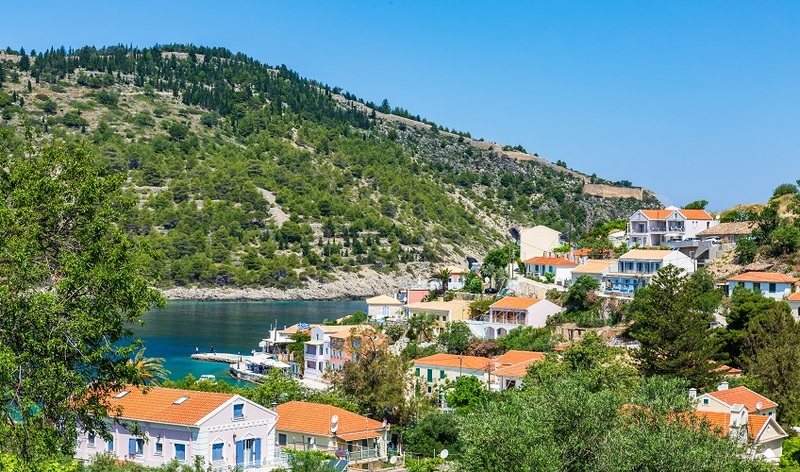 The small fishing village clustered round a sheltered harbour is a haven that brings people back time and time again. 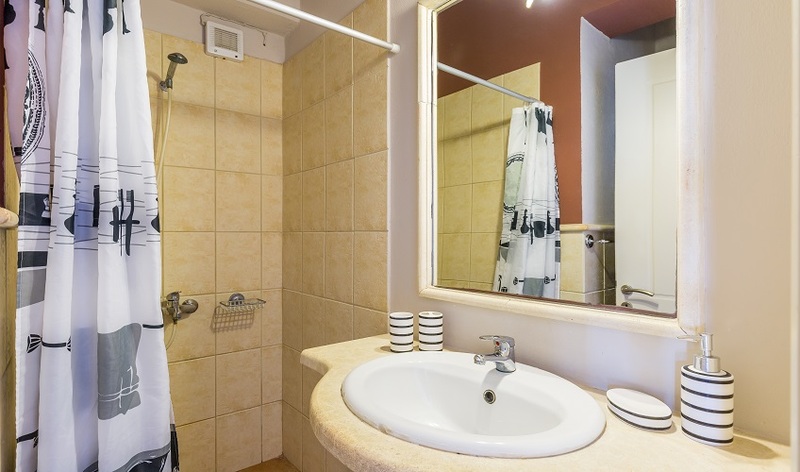 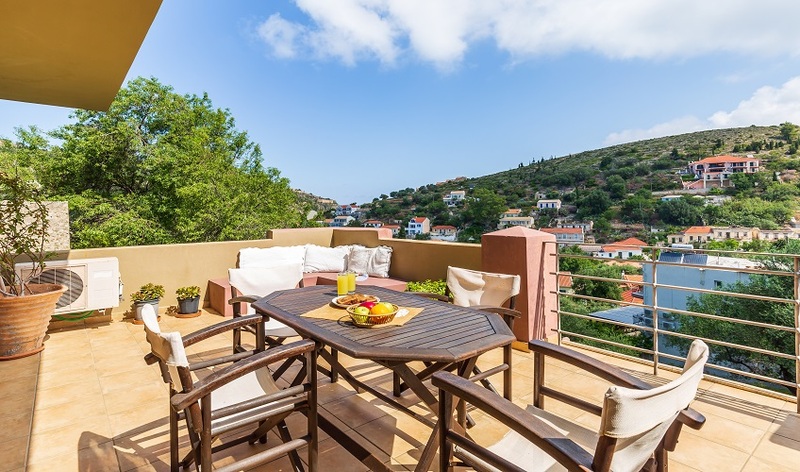 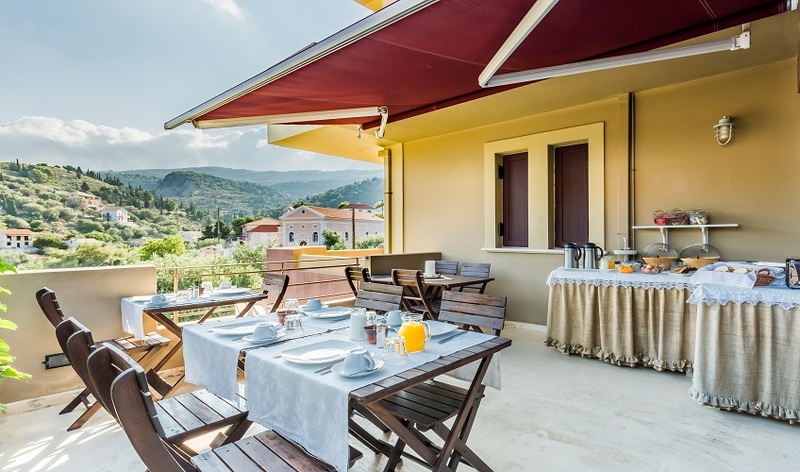 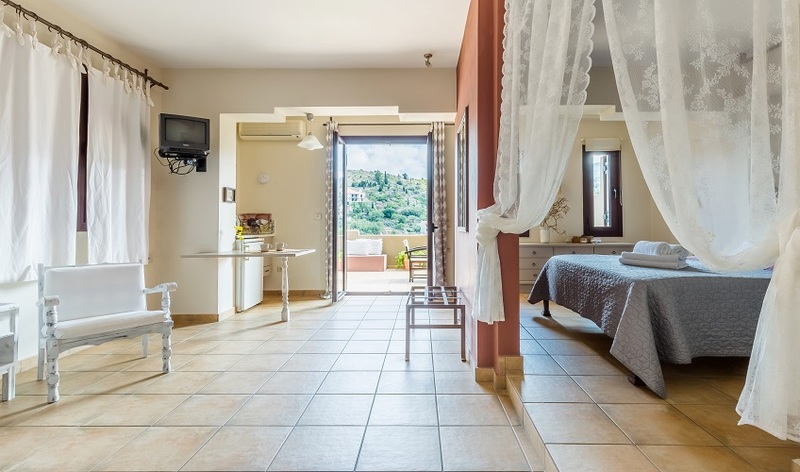 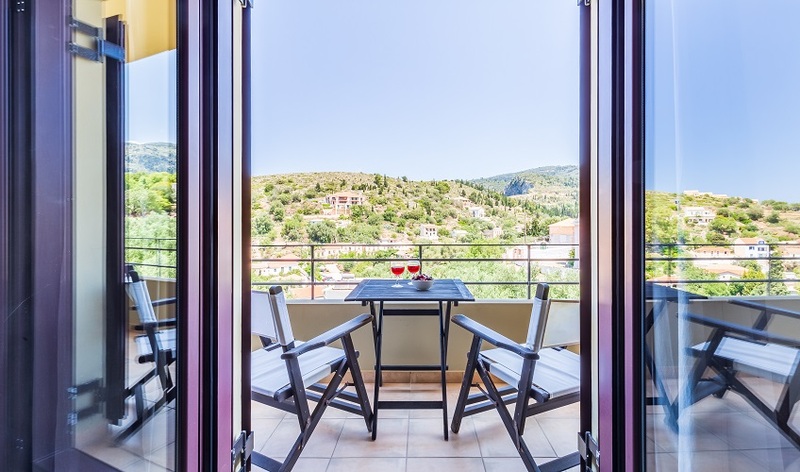 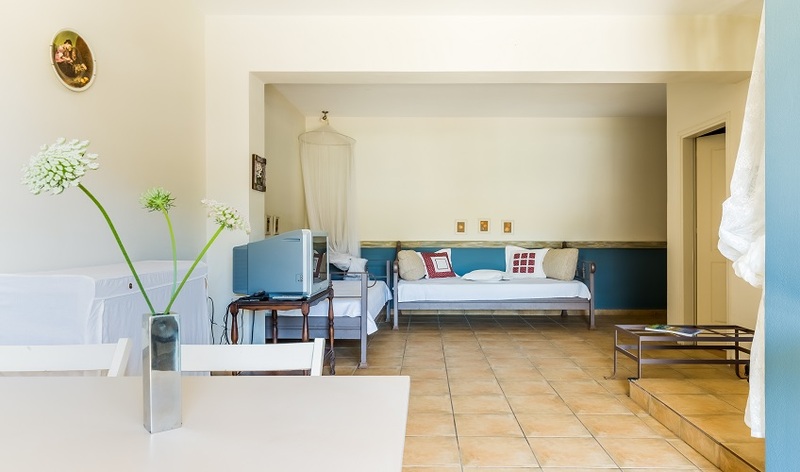 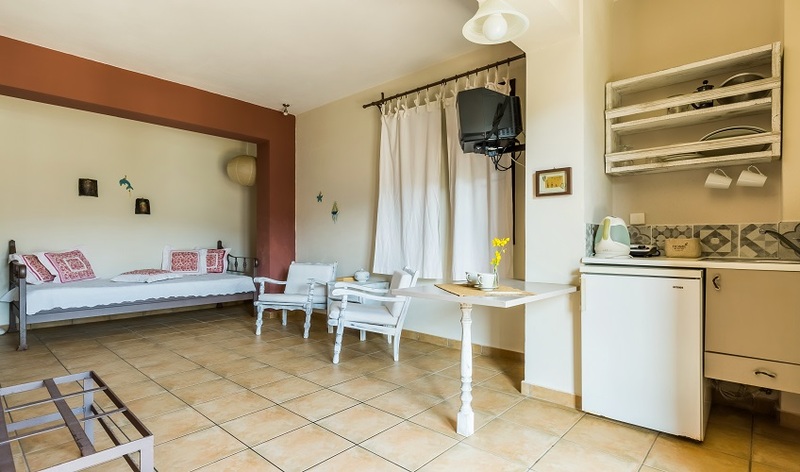 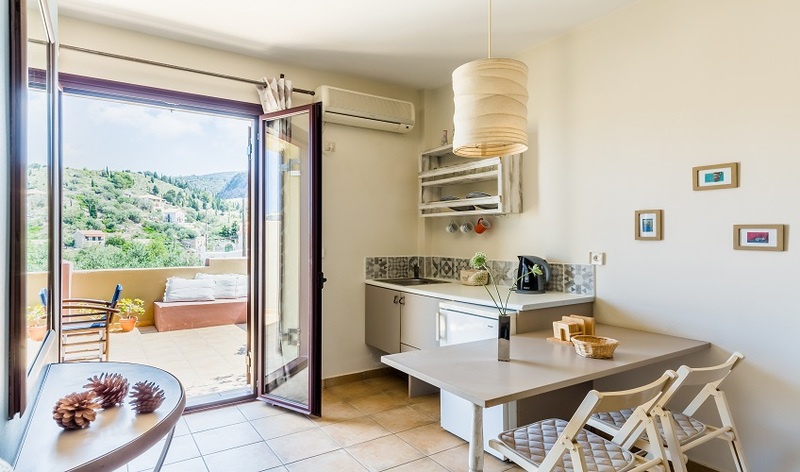 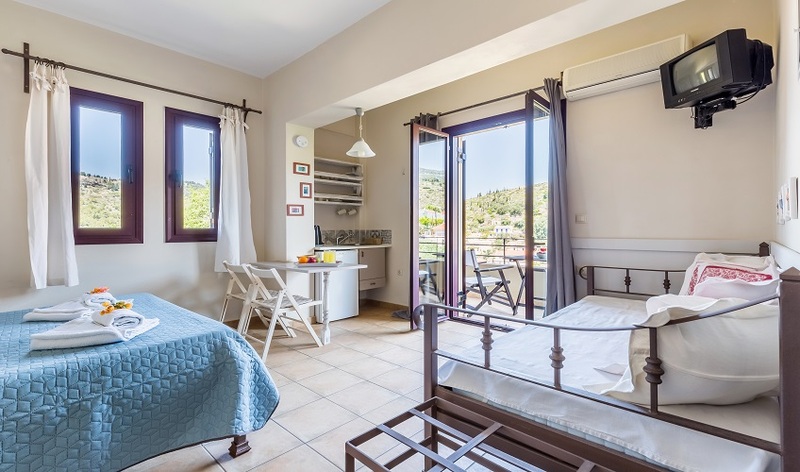 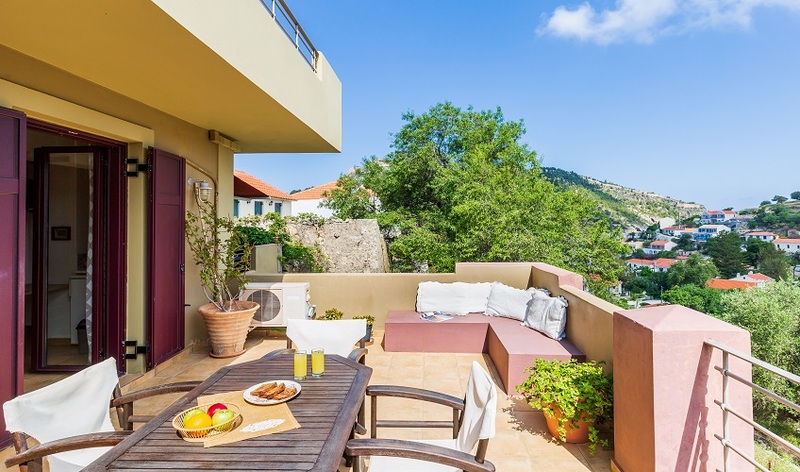 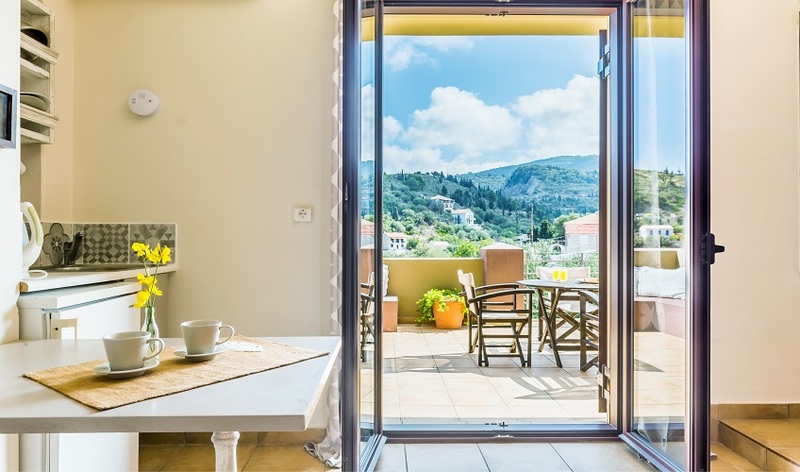 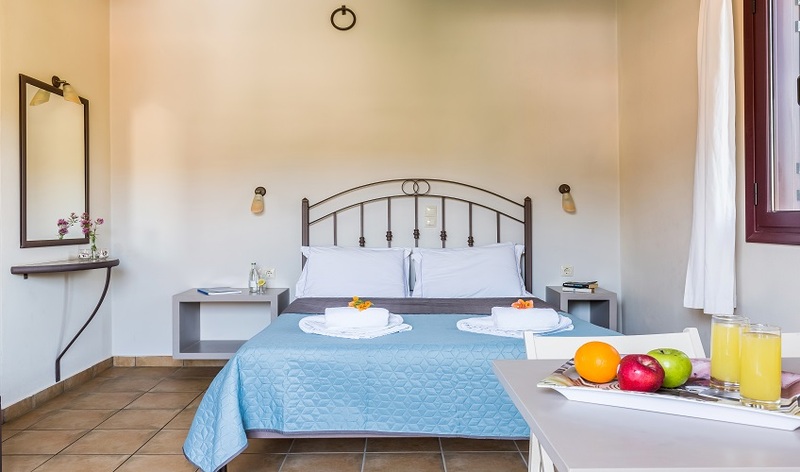 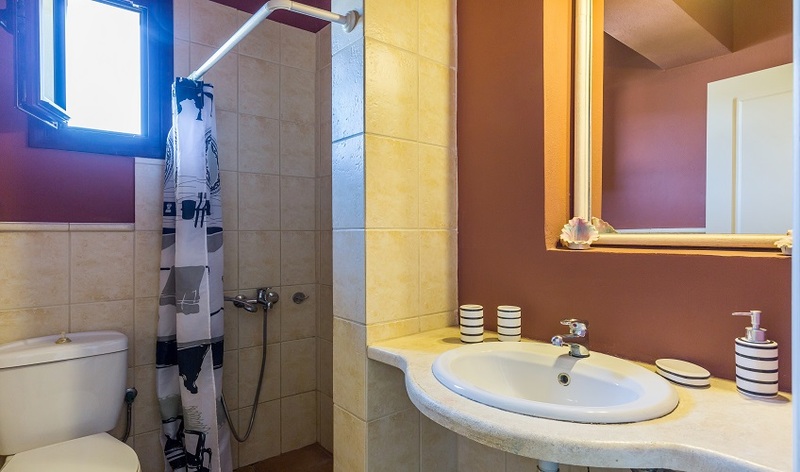 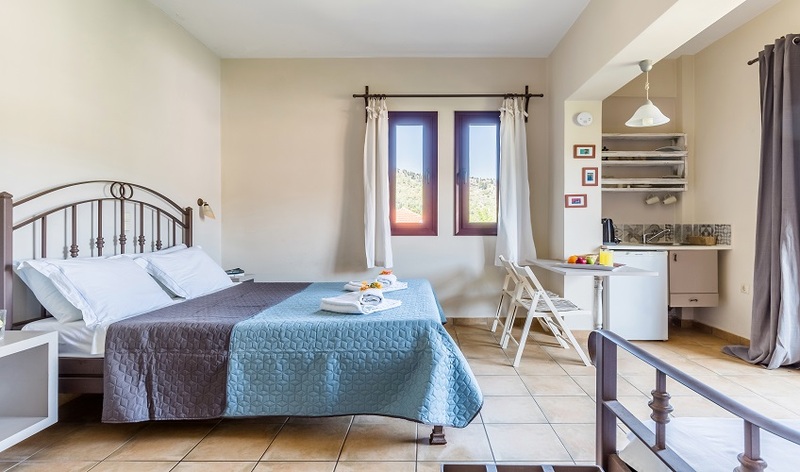 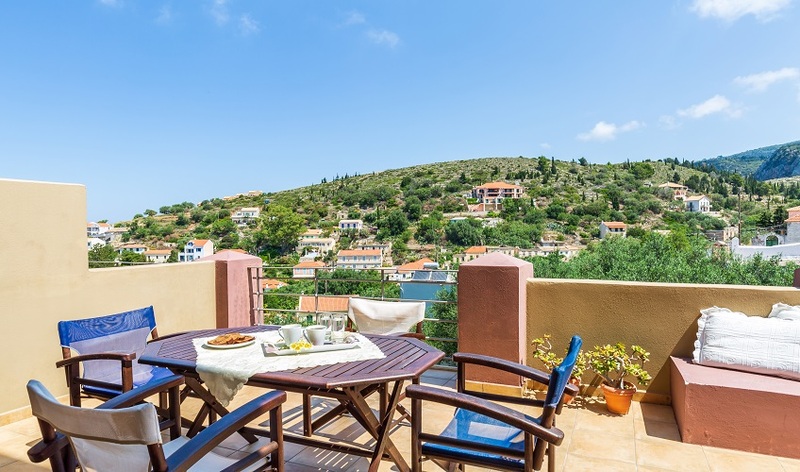 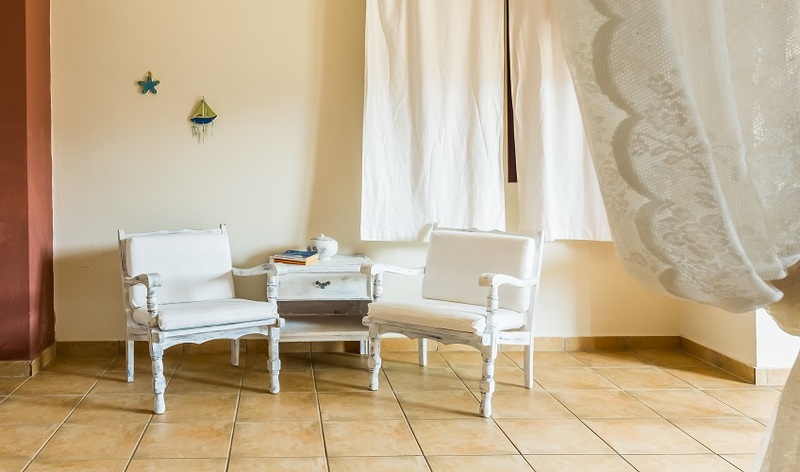 Cosi’s Inn, situated just above the harbour with superb views on both sides is an excellent example of the small but very welcoming apartments that is certainly one of the hallmarks of Kefalonia. 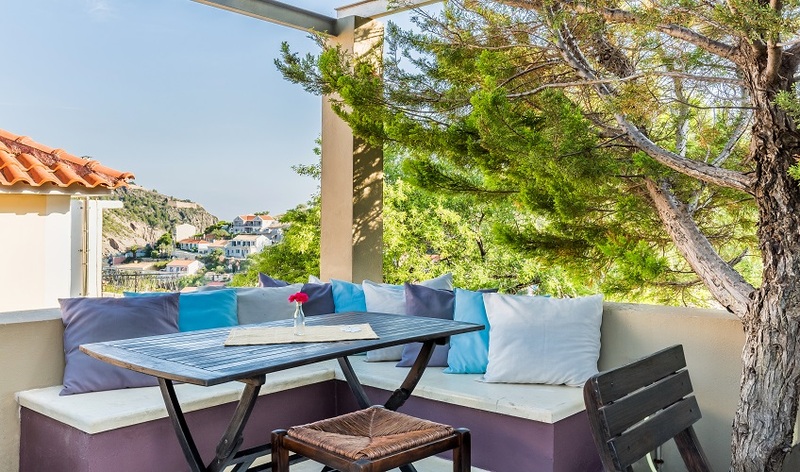 It’s only a couple of minutes’ stroll from the Inn down to the harbour with its fishing boats, handy tavernas and mini-market. 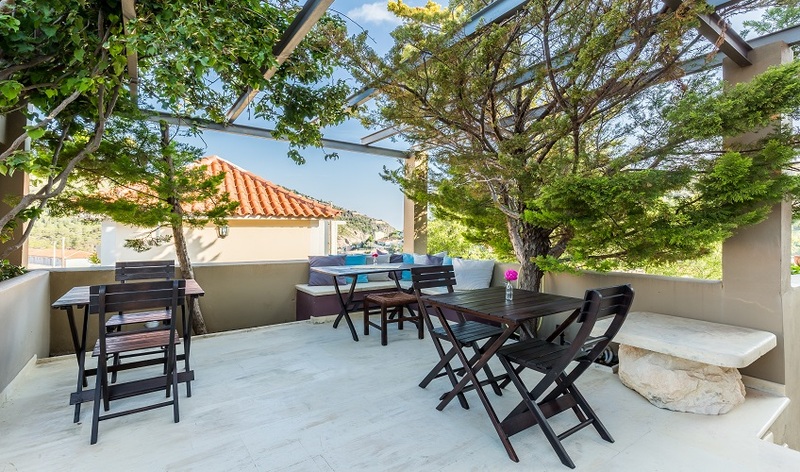 There’s even a lovely beach within the harbour a step or two away from the shady village square with its magnificent plane trees. 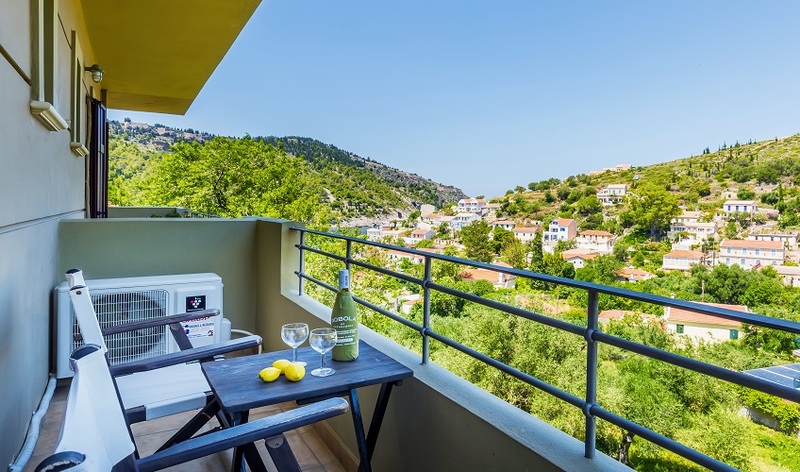 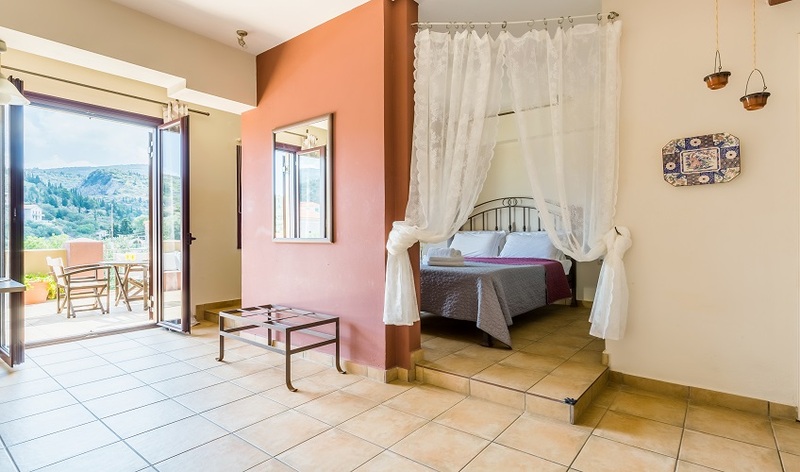 Comfortably furnished, with modern fittings all the rooms have balconies one at the rear which looks out over the village and harbour, whilst ones at the front enjoy a breathtaking view across the wide bay framed by mountains and high cliffs. 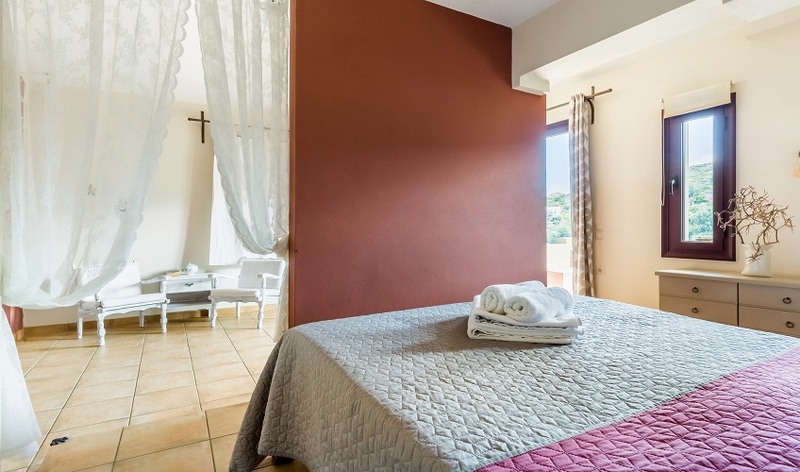 Each studio has a double bed, living area, shower room and kitchenette, with television should the views ever fail to please (somehow we doubt that) and air conditioning, although an evening breeze often arrives from sea and mountain, making the evening stroll down to the village for an alfresco supper on the quayside a pleasant prospect. 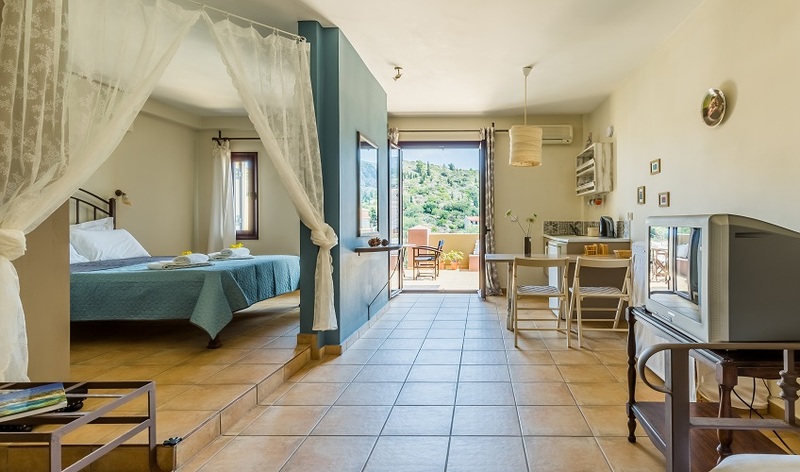 Assos has to be Kefalonia’s hidden gem, combine that with the friendly welcome at Cosi’s Inn and you have all the ingredients for a truly memorable holiday.